Though the housing market has started to recover, many homeowners still may find their homes aren’t selling as quickly as anticipated. If your home is lingering on the market, your best option may be to rent it out — you are about to become a reluctant landlord. When putting your home on the rental market, follow these seven tips to help protect your property and yourself. 1. Find a good tenant. You can find tenants by advertising in the print and online versions of local newspapers. Also consider online ads, which often are less expensive and more effective than newspapers, If you advertise for tenants on Craigslist.org, use caution. Also spread the word through friends, relatives and co-workers. Ask potential tenants to fill out an application, listing their basic information: name, employer, salary, previous landlords and references. You’ll also need their Social Security number and signed authorization to check their credit reports and criminal history. If a prospective renter refuses to give you his or her Social Security number, you can still run a credit check based on name and previous address. If you hire an agency to provide background checks, make sure it is accredited by the Better Business Bureau. Keep in mind you can do your own background checks. With the applicant’s authorization, you can pull credit reports from one of the credit reporting agencies — Equifax, Experian or TransUnion — as long as you follow the Fair Credit Reporting Act. Check for any criminal history by searching state and local records online, or hire an agency. Landlord.com offers tips on conducting tenant screening. Be sure you know the law. In some states, if prospective renters have served time for certain nonviolent offenses, you still must rent to them if they meet your criteria. It is important not to give into your emotions when screening tenants. Beware of potential renters who give you a sob story, hoping you’ll skip the credit check or overlook a bad report. If a renter asks to make a partial payment on the deposit before moving in and “pay the rest on Friday,” stick by your requirements. Check references, contact employers and talk to previous landlords. However, some previous landlords will not give references because of liability concerns. 2. Determine how much rent to charge. Get an idea of area rental rates by checking newspaper ads, online resources and other neighborhood homes advertising for tenants. Be realistic: What you charge may be lower than your mortgage payment, but if you want to find a tenant, the rent must be comparable to other properties on the market. 3. Protect your rights with a lease. “Have a written lease so that each party understands their rights and obligations”. A good lease complies with fair housing, rental, health and safety, and tenant and insurance laws of your region. These laws differ across states, counties and cities, so we advises working with a local lawyer. Avoid using blank leases from the Internet, because they may not comply with the laws in your area. A lease should spell out the following: Lease term. A month-to-month lease offers more flexibility if you’re still trying to sell, while an annual lease provides more stability if you plan to hold on to the property. Security deposit. This is usually one month’s rent or more. Don’t agree to take partial payments, as this could indicate trouble ahead with your prospective renter. Due date for rent. Spell out penalties if the payment is late. Repairs. Detail who is responsible for what. Routine upkeep and maintenance responsibilities. Lawn care is one example. List of tenants. Know who is living in your property. Rules of behavior. Lay out the acceptable noise level, proper neighborly conduct and whether smoking is allowed. Pet policies. If you allow them, specify the deposits. Homeowner association dues and rules. Explain whether these affect your tenants. Arrangements for showing. If you plan to keep your home on the market while it’s being rented, spell out how this will be handled. Eviction terms. 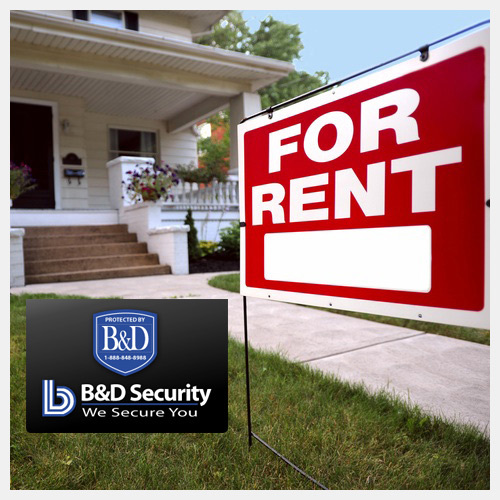 Let your tenants know that not paying the rent or damaging the property won’t be tolerated. 4. Get the appropriate coverage. Protecting your property with the appropriate insurance policy is extremely important. You need a different policy if you’re renting a property to a tenant versus using it as your primary residence. While you live in the house, you need a homeowner’s policy, which covers the structure of the home, personal liability, medical expenses and your belongings in the house. As a landlord, you’ll need rental property insurance. In addition to covering the home’s structure, personal liability and medical expenses, this policy includes loss of rental income in the event of a covered loss. However, it provides very limited coverage for any personal belongings you leave in the rental property. 5. Encourage tenants to get renters insurance. Since you are not responsible for their belongings, encourage tenants to buy renters insurance. This will benefit you should something happen to the home that damages or destroys the tenant’s belongings. Tenants are also less likely to file lawsuits against landlords if their belongings are protected through insurance of their own. 6. Hire a management company. If you move from the area or just lack the time or flexibility to deal with tenants, consider hiring a property management company. These companies primarily charge fees for two services: finding a tenant, which includes advertising and background checks, and managing the property. According to ManageMyProperty.com, the fee for filling a house varies from about 25% to 100% of one month’s rent, depending on the area. Then, for typically around 4% to 12% of the monthly rent, the company collects rent, charges late fees, handles repairs, and deals with early vacancies and evictions. If you hire a property manager, find a licensed professional. To locate a manager in your area, go to NARPM’s website and type in your ZIP code. Your real estate agent also may offer property management. One big advantage of using property managers is emotional distance. Often, the owner will get involved with the tenant emotionally. Even though (property managers) take good care of tenants and they’re sympathetic, their job is to make sure that owners get the rent. 7. Prepare properly for evictions. 8. 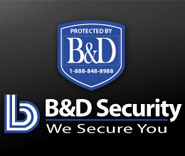 Secure your home with Home Security. A good rule of thumb when renting your home is “tie your camel”. Although we hope that others will respect our property the way we do, this isn’t always the case. Getting a home “security system” installed that you can monitor, from anywhere, is key to providing you with the PEACE OF MIND that you need to rent your home to the right tentant.